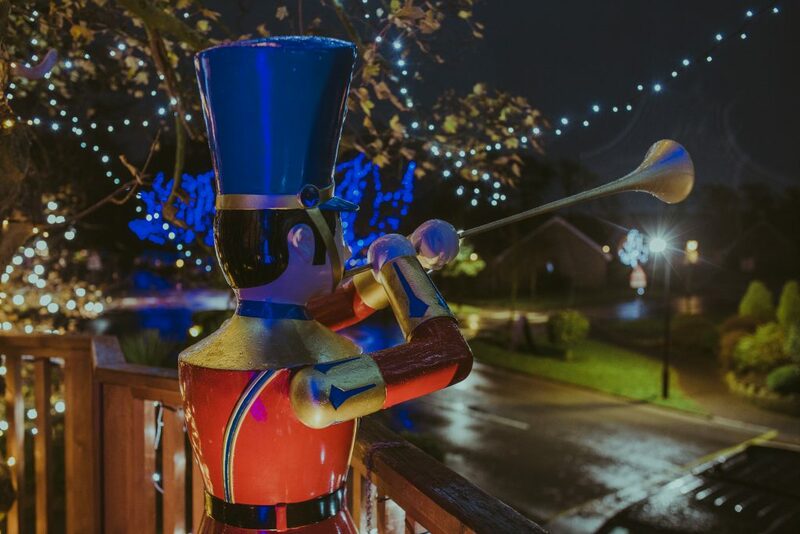 From late November and throughout December Ribby Hall Village is transformed into a magical Winter Wonderland with the help of Santa and the elves, wonderful festive activities, special events and thousands of dazzling Christmas lights. 100,000 bulbs to be precise! When The Village is in full swing and summer is coming to a close – we revisit our notes again. September sees us test all the existing lights and order any new lights and features we would like this year. There’s always something new on The Village. This year we’ve had Wild Discovery (The Village’s interactive animal experience) to consider. More decorations and lights were ordered to make sure Winter Wonderland extends to that area of The Village, especially given that there are reindeer in residence there. We don’t want Pringles feeling left out now do we. He’s got an important job to do on the 24th December so it’s important we get him into the spirit too! Most of the lights are LED and we also use festoon lighting and rope lights for added WOW. Over 100,000 light bulbs are used across The Village! Many of them surround Santa’s Magical Tree House – after all, when the Big Man is in residence, we want to make sure that we spoil him the most and give him a season to remember! In the final few weeks before the big day we are often checking the lights late into the night. Of course, there’s always one set of lights that never seem to work first time but practice makes perfect and we get there eventually. During the last few days, employees from across The Village get into the spirit and help decorate their departments. The Maintenance Team will then set up the traditional Christmas Present Hunt throughout The Woodland Trail so that families who live locally, or holiday guests can enjoy a bit of fun for FREE in the great outdoors. Families enjoy finding the giant presents and quiz clues hanging from the trees in what is a really popular Winter Wonderland activity. It’s a great way of having a quality bit of time together in the fresh air. Are you joining us this festive season? If so, we look forward to seeing you soon. 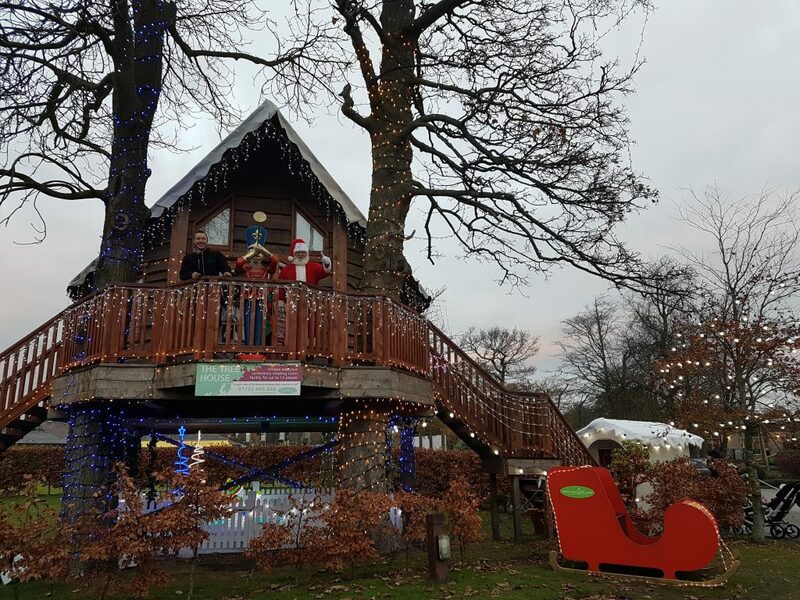 Whether you are travelling by train, car or even reindeer – we are easily accessible from the M55 junction 32 – so we do hope to welcome you to Winter Wonderland! Bookings are already being taken for accommodation for next year. Why not make it a Christmas to remember and join in the fun?